Although this is given as a match result by Di Felice, Skinner and Verhoeven say the score is unknown. 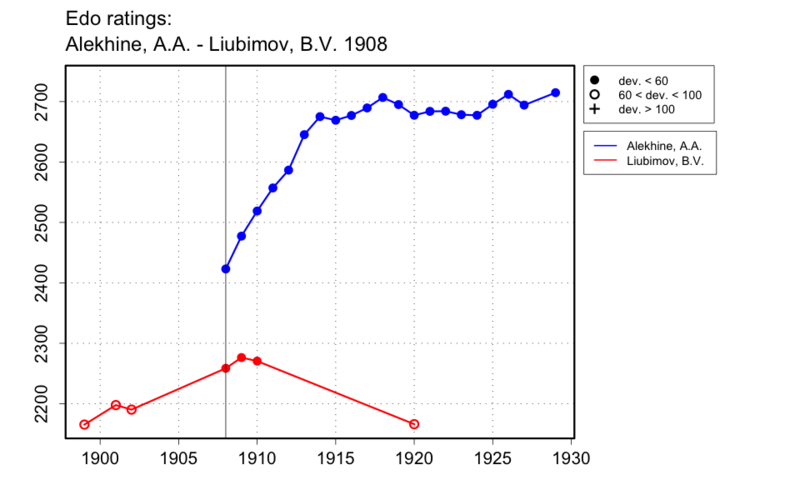 The latter authors give two wins by Alekhine over Liubimov but one of them is not certain to be part of the match. I take this to be a partial result.